Batteries are devices which chemically store energy that can be discharged when required by the user to power a device. Without them, modern life would grind to a halt. Here are some common battery types. Household batteries are those used to power everyday items, from torches to TV remotes. Most household batteries rely on alkaline battery technology, one of the most energy-dense technologies available. Alkaline batteries work by transforming zinc into zinc oxide via the electrolyte, releasing electrons in the process. Although alkaline batteries have high energy densities, they cannot be recharged without causing damage to the internals, and so much be replaced after each use. 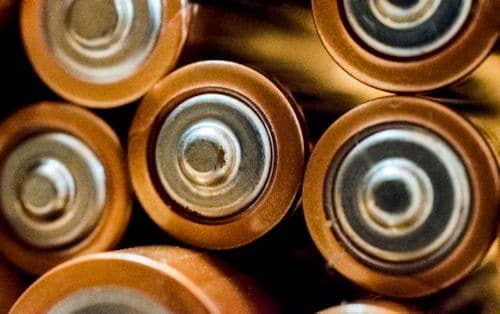 Household batteries are incredibly versatile, thanks to standard battery form factors, including A, AA, AAA, B, C, and D. Batteries can be used for all kinds of things, including radios, clocks, flashlights, calculators, laser pointers, fishing lures and glucose monitors for people with diabetes. Because household batteries contain chemicals that could be harmful to the environment, all household batteries should be recycled. You can find recycling points at your local supermarket. Rechargeable batteries rely on a variety of chemistries, but they differ from regular, alkaline batteries in an important respect: recharging doesn’t degrade them. Rechargeable batteries work by reversing the reaction that produces the electrical energy by applying an external current. All of the ions that traveled from the anode to the cathode travel back from the cathode while charging, allowing batteries to be discharged multiple times. Many rechargeable batteries come in the same form factor as traditional alkaline batteries, meaning that they can be used in the same applications. Rechargeable batteries are especially useful for children’s toys, flashlights, TV remotes, and clocks. The great thing about rechargeable batteries is that they will usually recharge between 500 and 1000 times before needing to be replaced, even though a single charge doesn’t often last as long as that of a household alkaline battery. Tool batteries are a special kind of cell designed to work with particular models of power tools. 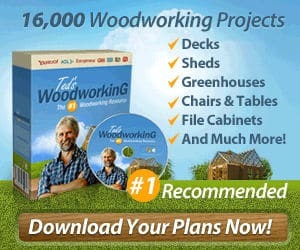 These batteries – like the ones in the best cordless angle grinders, battery powered chainsaws, or cordless electric leaf blowers – are designed to be easily removed from the tools that they power and placed in compatible charging devices. Many tool batteries use zinc-ion or lithium-ion technology, allowing them to achieve relatively high energy densities. Tool batteries tend not to use the highest energy-density lithium-cobalt technology because of the risk that the lithium will become damaged and ignite during operation. Instead, they use the lower energy density, but safer, lithium-phosphate technology which is still rechargeable. Tool batteries, therefore, tend to be heavily armoured to prevent damage to the cells during operation, and larger because of lower energy densities. Tool batteries frequently come packaged with the power tool itself in a case. Manufacturers typically supply two batteries per tool set, allowing you to charge one of them while you use the other. Watch batteries tend to be small, non-rechargeable batteries based on alkaline battery technology. There are many different types of watch batteries, commonly found in watches. These include cells with the codes CR1216, SR626SW, 280-48, and AG1. Fitting a watch battery can be tricky, depending on the type of watch that you have. Many models hold the battery in with a spring, although some use a retaining bar and others a plastic cover. To replace the battery in a watch, you’ll need to open the watch case and unclip or unscrew any retaining features. Watch batteries should last for years because most watches do not consume a lot of energy. If, however, you have a smartwatch or a watch with a backlight, the demands on the battery are higher, and you’ll need to replace it more often. Most vehicle batteries are a type of cell designed to provide the initial energy required to start the combustion engine. Vehicle batteries are used in cars, vans, and trucks. Today, however, some vehicle batteries are also used as the primary energy source in vehicles to power electric motors, including golf carts, milk floats, electric cars, buses, and forklifts. Vehicle batteries are rechargeable, and can be rejuvenated with a good car battery charger. Most rely on lead-acid technology, but some also use more recent chemistry such as nickel-cadmium, lithium-ion, nickel-metal hydride, and lithium-ion polymer. Lead acid batteries tend to be the cheapest the manufacture and are, therefore, the most common batteries found in vehicles with internal combustion engines. Lead acid batteries are designed to be able to provide short, sustained high bursts of power to start the alternator, and also charge quickly using energy from the engine. The majority of electric vehicles in the past used lead-acid technology because of its low price and the maturity of the technology, but newer chemistries have made it somewhat obsolete. Lithium-ion batteries are now much more common, thanks to their high energy density, and rapidly falling manufacturing costs. Phone almost exclusively rely on lithium-ion battery technology, thanks to its unique combination of high energy density, high rechargeability, and low cost. As phones become increasingly advanced and users expect more from them, phone battery life has also become a primary concern of the industry. Efforts are currently underway to create batteries that provide even higher energy density than lithium-ion, allowing phone users to go for up to a week without having to charge their phones. Technologists are working on a range of lithium-based technologies, including solid-state technologies, which they hope will raise the bar and help to improve battery technology at a similar rate to microelectronics. While it’s true that the cost of batteries is falling and their energy density rising every year, improvements are slower than in other areas, like memory capacity or processor speeds. What’s needed is a revolution in chemistry. Although the vast majority of lithium-ion batteries are safe, the Samsung Note 7 fiasco shows that things can and do go wrong. Samsung had tried to engineer a higher energy-density cell for their device, but failed to prevent the batteries from internally short-circuiting, producing fires. New phone battery technology hopes to avoid this by blocking the formation of dendrites – small filaments of material that can puncture through the separator between anode and cathode, causing a short circuit.